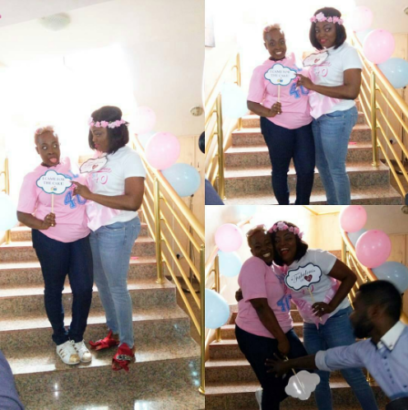 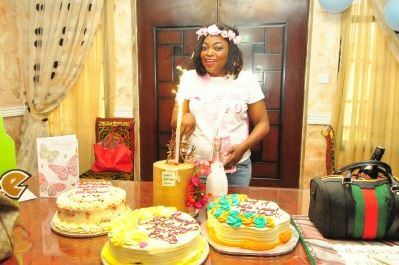 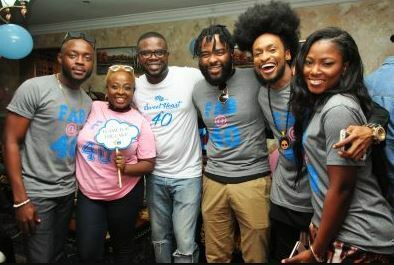 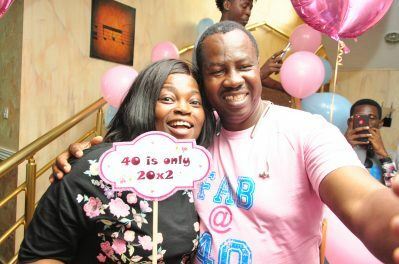 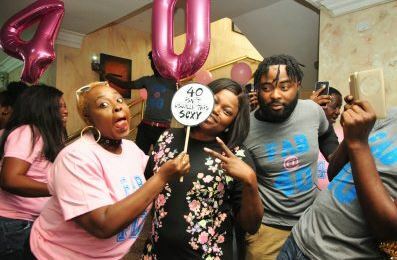 Nollywood actress Funke Akindele who clocked 40 yesterday was treated to a surprise birthday party by her husband and Jenifa’s Diary crew. 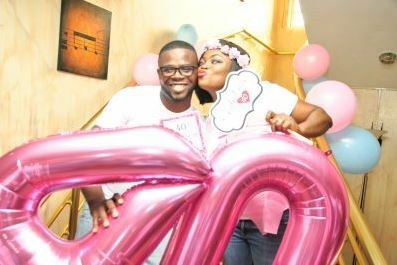 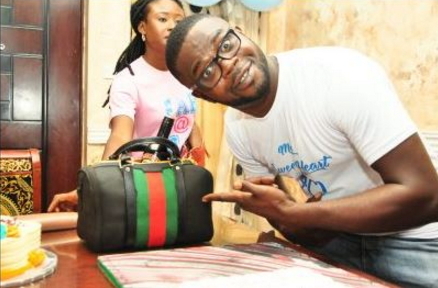 Akindele and her husband Rasheed Bello also used the opportunity to celebrate their first wedding anniversary. 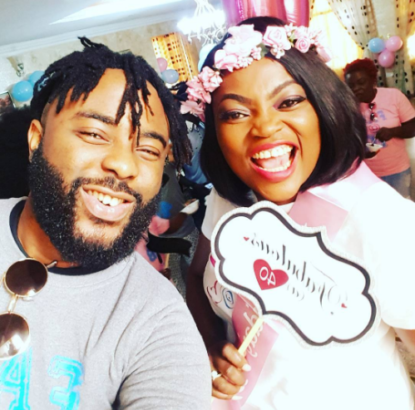 Funke Akindele’s sister Bimbo who showed up in the company of Debbie Rise, Denrele, Lolo of Wazobia, VJ Adams and many others did everything possible to make the party a success. 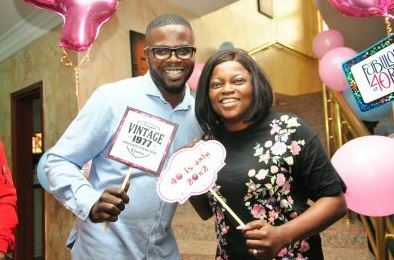 Hbd Funke, your joy shall be permanent. 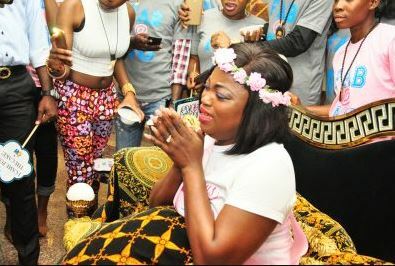 May the joy you’re in this moment remain permanent in Jesus name,Amen. 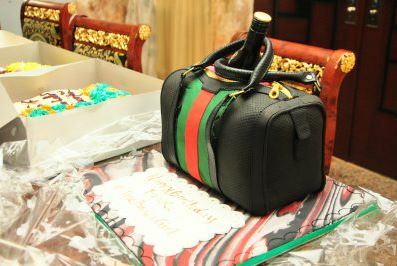 Enjoy your life girl, do plenty shakara.